Heat 2 tablespoons of olive oil in small frying pan over medium heat, add 2 minced garlic cloves and ½ teaspoon cumin seeds and large pinch of salt. Fry very gently for 2 minutes taking care not to burn the garlic. Stir in 1 tablespoon honey, juice of ½ lemon and pinch of chilli flakes (optional). 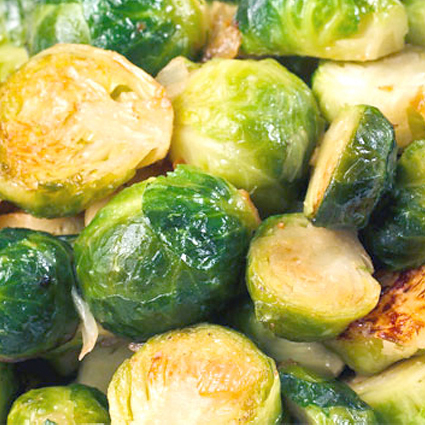 Put 500g halved brussels sprouts in a bowl and toss well with the mixture from the pan. Transfer sprouts into a large baking tray in a hot oven for about 20 minutes, or until tender. Season to taste and serve.